I had 3 workshops in Japan this September, happened to be in one of 3 biggest port cities of the country (Fukuoka, Yokohama & Kobe). 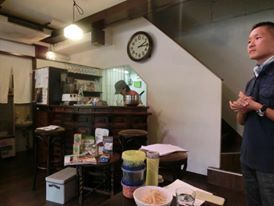 The theme of my lectures was "The healing power of traditional Japanese fermented foods", followed by "fun activity" with all the participants. Yet, obese rate has increased from 28% (2000)to 36% (2014), and the rate of diabetes has been even doubled in the past 15 years. I pointed out 2 main possible reasons for that. One is the portion. While Japanese consume 2500 Kcal, average Americans do 3500! The other is what Americans actually eat. According to USDA, 50% of typical American diet consists of processed food, 40% animal food, and only 10% fruits & vegetables (half of which are potato, tomato and lettuce. Yup, potato chips count!). So unless Americans change this way of eating, no matter how they eat "organic", or "super foods", the problems won't be solved, I suggested. Secondly, I shared my experience as a food doctor in NYC, and how I witnessed traditional Japanese way of eating (whole grains, miso soup, vegetables, beans, seaweeds etc) and fermented food such as miso, umeboshi plum and so on, have been helping people with health problems, such as acid reflux, menopausal symptoms, digestive problems, weight issues, allergies, and even cancers. Finally, I shared my great concern for how my fellow Japanese are getting sicker ad sicker, just like Americans, while abandoning their own traditional food culture and eating more "modern American diet". "Bring back our own traditional way of eating!" a.k.a, Eat rice & miso soup! After my lecture, I got a lot of questions from the audience and we had a very lively discussion. 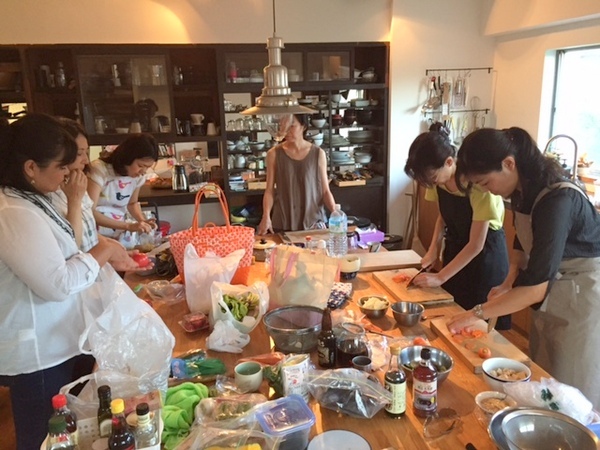 In Kobe, I showed how to make instant miso soup, then we all made it together. Overall, the audiences were all fabulous in each city, and had such a memorable, fun time.